SCHOOLCHILDREN have been ordered to get their uniforms on and stand against a door to be photographed. 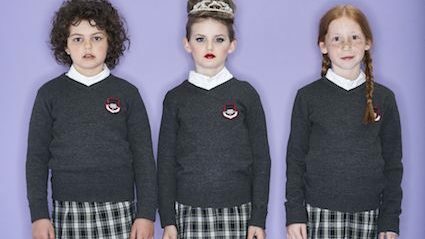 Children aged between three and 17 are being forced to dress in their new blazers, look neat and smile even though it is still ages until school, or face the consequences. Mother-of-three Mary Fisher said: “Don’t even think about giving me any crap. I am this close. “You want to think about how much all that cost me? About four hundred quid, so you’d best believe I am getting my satisfaction. “Up against that door and smile like you’re capable of some kind of academic performance. No arsing about. This is going on Facebook and bloody Instagram. THERESA May has been returned to her Japanese manufacturers Hitachi for a full factory upgrade. 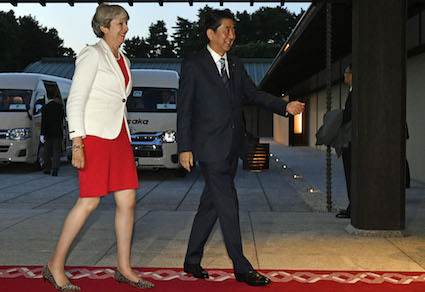 The prime minister is ostensibly in Japan for a trade deal it has confirmed it will not discuss and to pick fights with North Korea, but is actually receiving an overdue software, firmware and hardware systems reboot. AI specialist Shinichi Matsutoya said: “I warned you that version could not win an election. It just gives you the blue screen of death. “We’ve been patching as best we can, and thankfully she didn’t get hit in the ransomware attack because she never could network with the NHS, but she really needs a complete rebuild.